While there has always been a question or dilemma about Jackie Chan’s dramatic range or even his laughable claim of wanting to become the next Robert DeNiro. Opportunities were there to take, with films like New Police Story and Shinjuku Incident. However, his performance as a drunken cop was met with critical despite and his wooden display in the against-type serious persona was met with similar discontent. So it is refreshing to see Chan back to what he is good at: physical comedy. This does not necessary mean more action, as Chan rarely fights or even if he does, he is simply avoiding fights. What is means is that Chan is trying to be funny and the audience also finds it funny as well. Not unlike Jet Li who have now successfully transformed from action icon into an actor, with his own acclaimed role in Warlords. 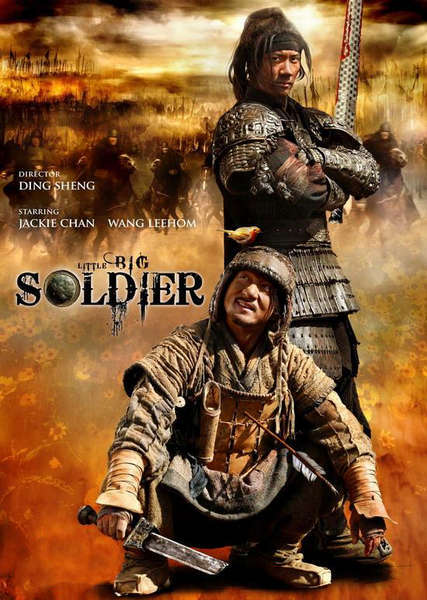 Little Big Soldier is hopefully what you call a breakthrough performance and perhaps a step in the right direction for the aging Chan to take. The movie goes like this: Chan is an old soldier who pretends to be dead on the battlefield. He avoids fights and by playing dead, he managed to survive a battle where everyone dies. Going by luck, he somehow managed to capture the enemy army general. From there the two roam across the oceans and the seas encountering everything along the way. It is a delight to witness Mr. Chan in full flight. Rarely do we see this side of Jackie and somehow we never doubted at the back of our mind. Whereas, Chan usually plays one dimensional characters as a cop, spy, agent, cop and cop. 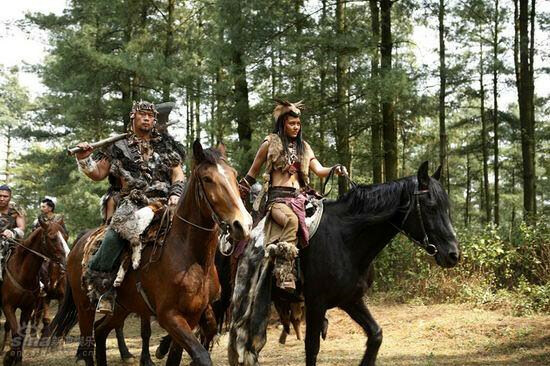 Chan is given a character and by the end of the movie, I felt that Chan have succeeded in bringing the character of the old soldier back to life. This is not an understatement, but rather a real sense of achievement. That’s not to say Chan have created something special. Perhaps, it serves as either a breakthrough or even a successful change in the right direction. There are moments in the film, where the audience laugh with Chan, escape with Chan and ultimately feel for Chan. Now that’s something is that unheard of and missing for the last 40 years of this great man career? Lee-Hom Wang last seen in Ang Lee’s Lust, Caution, delivers a wooden yet cool performance. While he was somewhat miscast and lost in Lust, Caution. Here, he is very much in control of what he is doing. Perhaps knowing his limited range and his ability to be cool,; Lee flairs far better in this role as the future heir. His chemistry with Chan is both fun and delightful to watch. There is a fight scene by the river banks which is fun enough for someone to enjoy.